This is a completely guilt free healthy eating recipe. I mostly make this in the later half of the year. It sort of feels about right with thanksgiving and Christmas flavors. 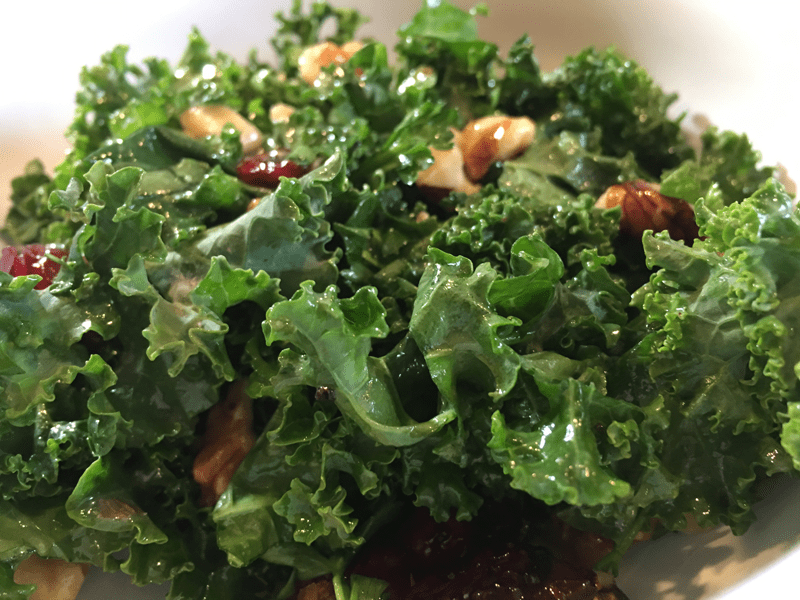 This kale salad combines the yummy curly tips of Kale, with lemon zest, cranberries, walnuts and parsley for a seriously flavorful salad you actually want to eat. The kale has a great texture making this one of my all time favorite salads. Cut the kale into inch sized pieces. You will want to get only the curly tips. Cut away any stems or thick veins. Toss gently until the kale is coated.